The Akrapovic exhaust makes it sound great, too! Ford, not one to miss out on the special-edition craze that infects automakers around the world looking to pad those profit margins, introduced the 2018 ’67 Heritage edition nearly a year ago. The package, based on the GT40 A. J. Foyt and Dan Gurney drove to victory at Le Mans in 1967, adds exposed carbon fiber, white exterior striping over a bright Race Red finish, 20-inch aluminum wheels with a silver satin finish, and white oval shields on both doors and the hood with a black number one in the center. 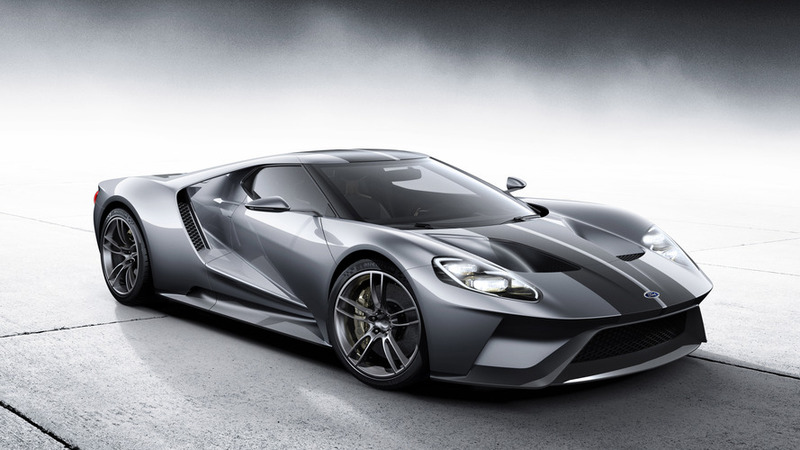 The GT is already exclusive – Ford will only build 1,000 over four years – and the ’67 Heritage package even more so. Inside, special touches include red stitching on the carbon fiber seats and steering wheel, red seat belt webbing, gray-finish paddle shifters, an exposed carbon fiber center console, and satin stainless-steel appliques throughout the interior. And yes, there’s a serialized identification place that certifies the car is a ’67 Heritage edition GT. No phonies here. Automotive Mike on YouTube caught one such example at The TT Circuit Assen in the Netherlands that looks right at home on the track. The design of the GT takes several iconic GT styling cues and translates them perfectly onto the modern-day supercar. 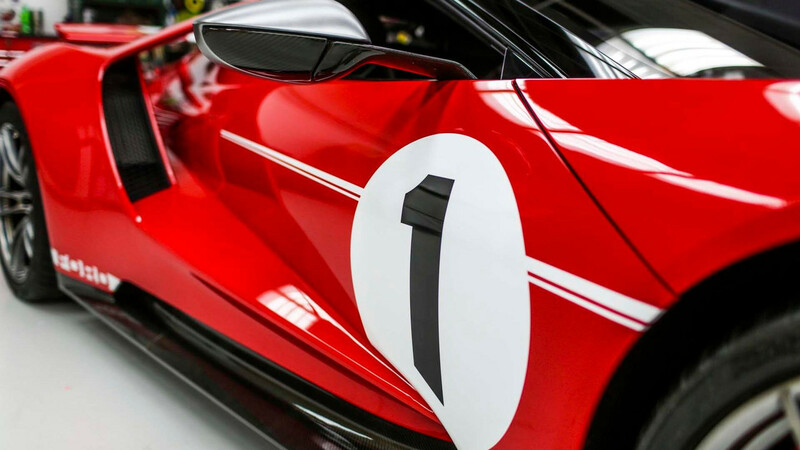 The flying buttresses and sleek design – and the fact the design varies little from the race car version – give the GT a proper supercar appearance. However, this example has at least one known modification – an Akrapovic exhaust that sounds glorious. The design meshes well with the car’s performance. A biturbocharged 3.5-liter V8 produces 647 horsepower and 550 pound-feet of torque, sending power to the rear wheels through a seven-speed dual-clutch transmission. The Akrapovic exhaust only heightens the engine’s scream. With only 1,000 being built for the entire global market, seeing one in person is rare. Seeing it tear up the track is rarer. It’s nice to see owners driving them and taking them to track.